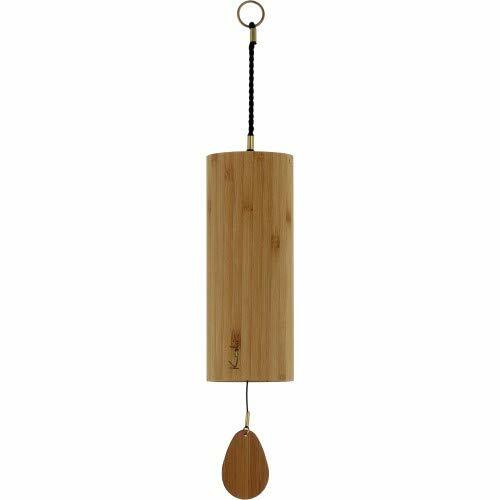 THE KOSHI CHIME The Koshi chime is an authentic musical instrument, an original creation of high quality. Hand made in a workshop at the foot of the Pyrenean mountains, each chime is the result of meticulous craftsmanship. Eight chords are welded with silver into the metal plate at the base of the resonance tube. Precise tuning creates a play of clear tones that is rich in overtones. The overtones of the shorter chords gradually dominate and become fundamentals, thus forming a circular tone range. Move the chime gently holding it by its cord: the crystalline relaxing sound may leave you in quiet wonder. Suspended, it will play with the wind and carry you away in an unexpected melody. Descriptions of Elements Air Element ♪♫ A C E A B C E B To be used for new life, transcendence, power of the mind, and communication. Earth Element ♪♫ G C E F G C E G To be used for abundance, grounding, stability, security, nurturing, and security. Water Element ♪♫ A D F G A D F A To be used for balancing emotion, fluidity, fertility, purity, and cleansing. Fire Element ♪♫ G B D G B D G A To be used for creativity, burning away old patterns, energy, transformation, relieving inner anger.